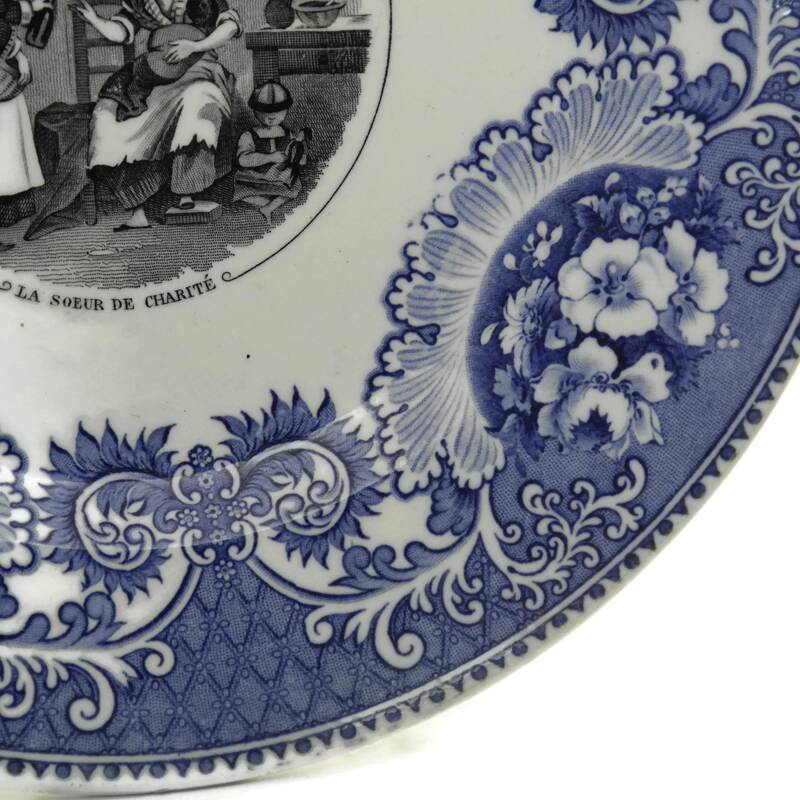 A beautiful antique French porcelain plate from the 19th century. 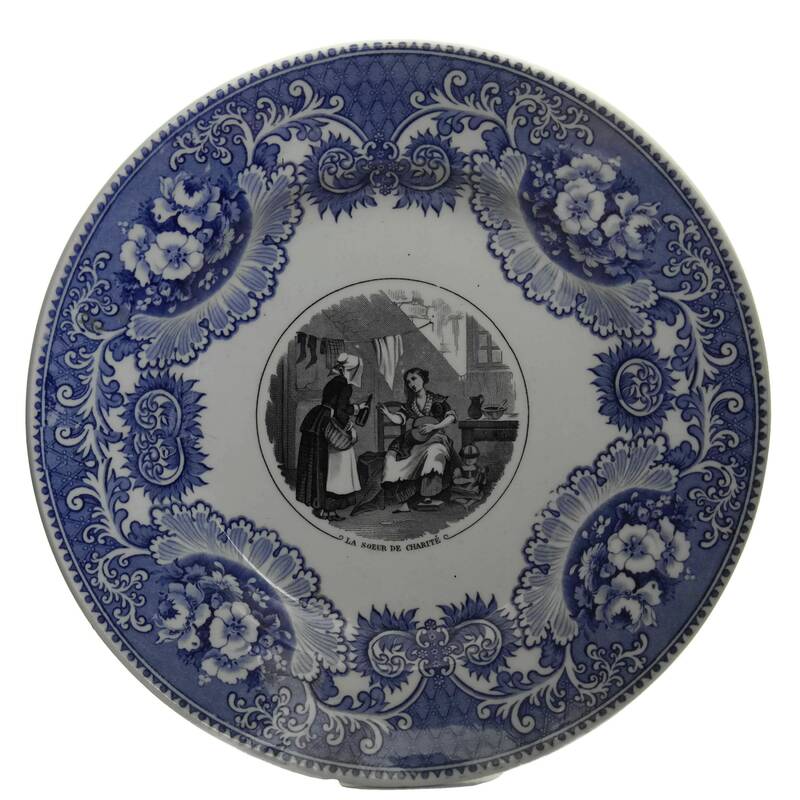 The 8 inch blue and white china transferware wall plate was created in France by the Vieillard pottery and porcelain manufacturer's in Bordeaux. 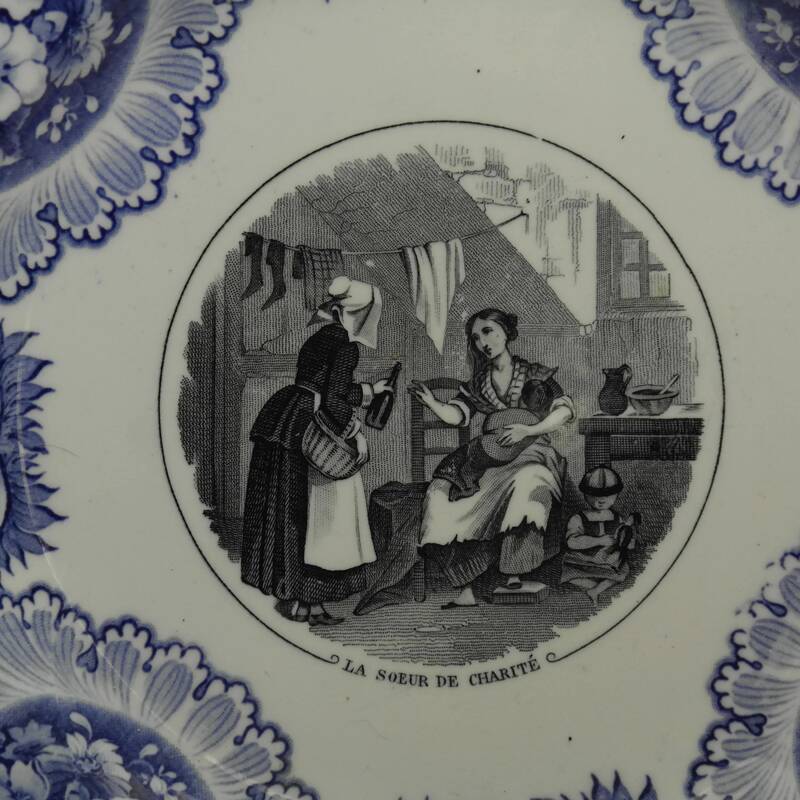 It features a charming black and white illustration of a lady giving charity to a mother and her children and has been titled "La Soeur de Charité" (The Sister of Charity). 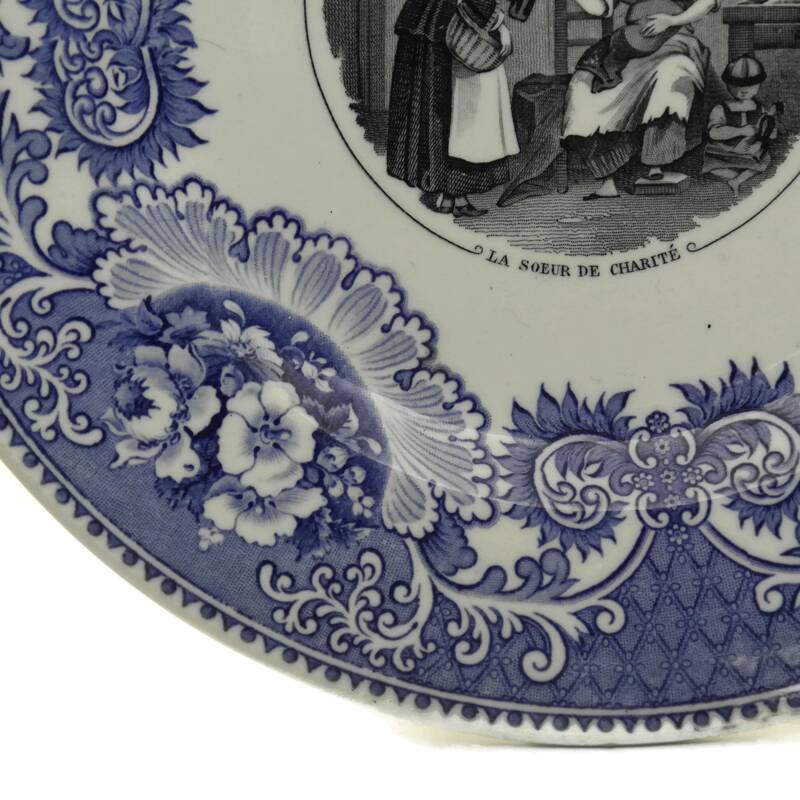 The border has an ornate decor of beautiful flowers and tendrils. 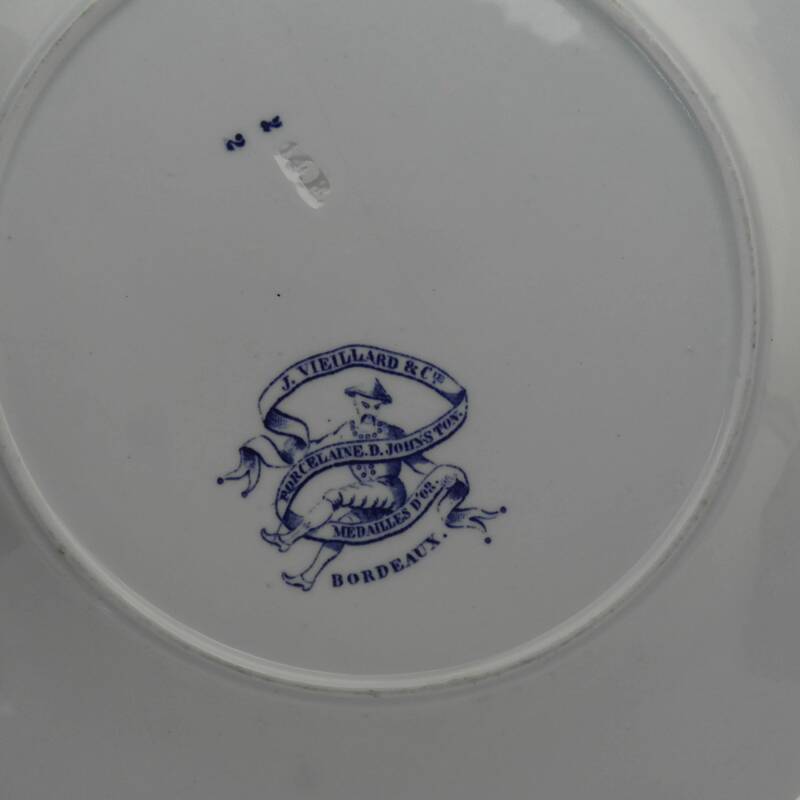 The reverse of the antique plate has been stamped with the J Vieillard and D Johnston manufacturer's marks. 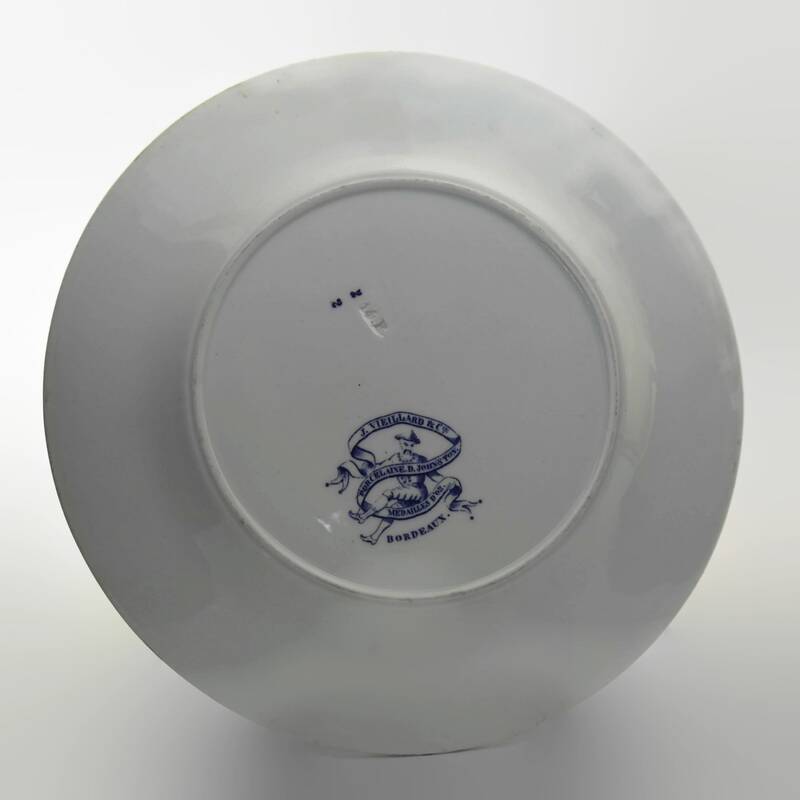 8 inches in diameter (20 cm). 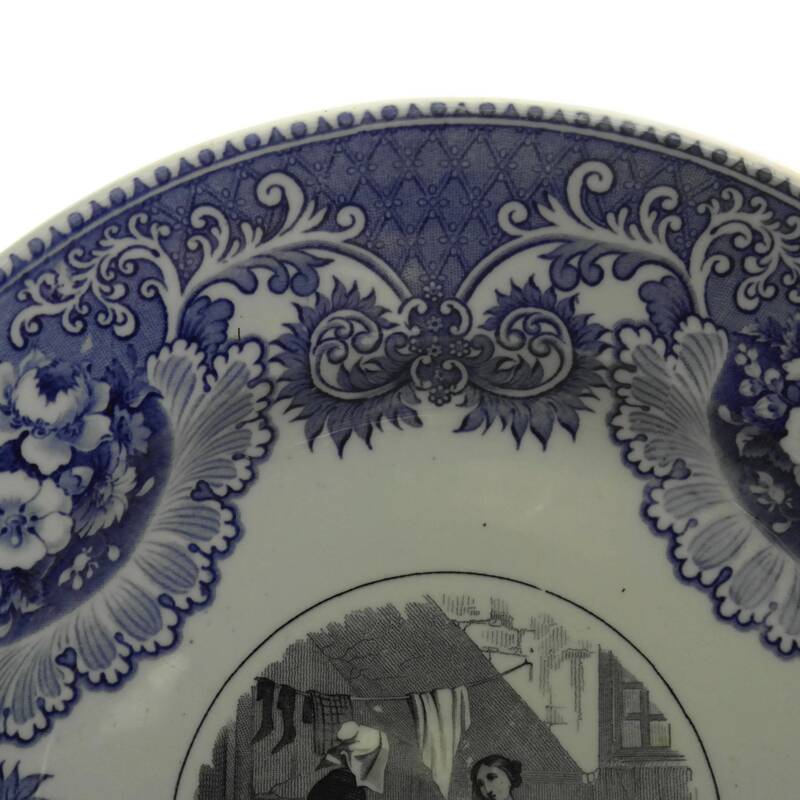 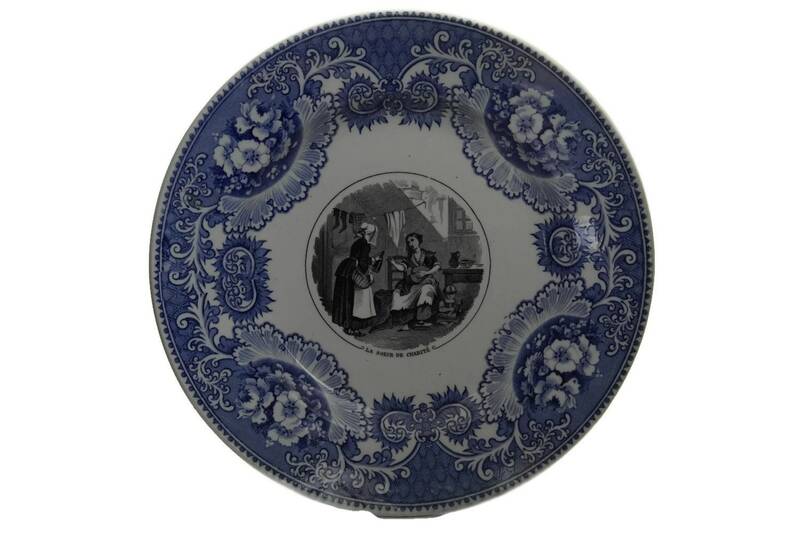 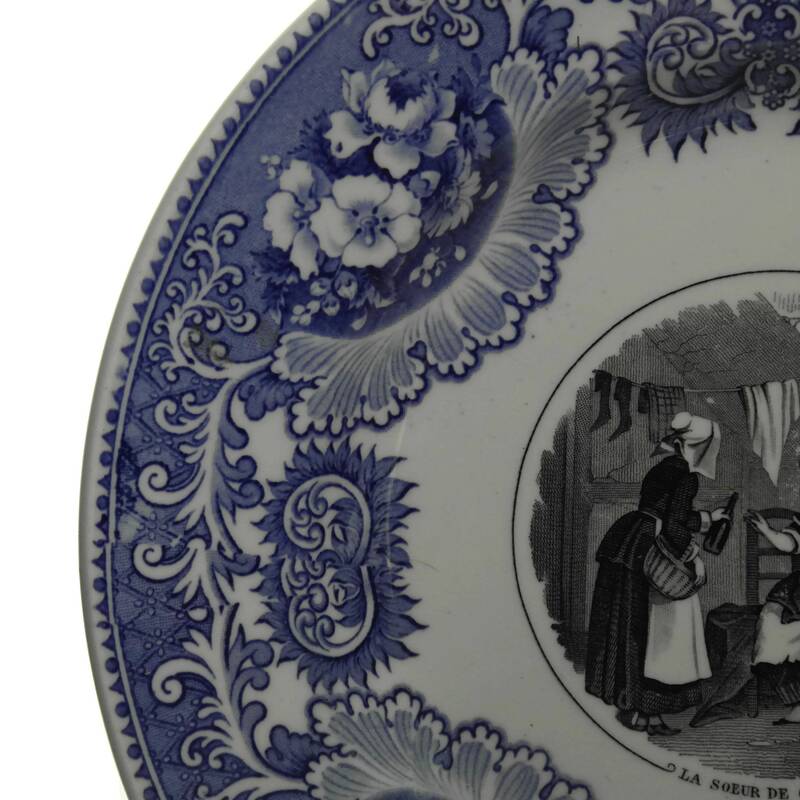 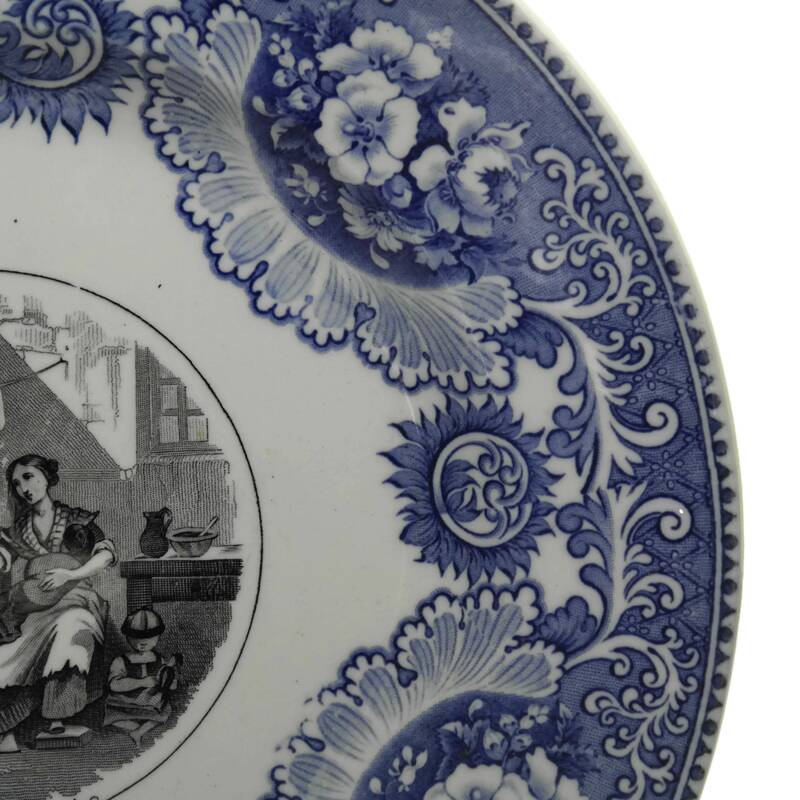 The blue and white collectible plate is in very good antique condition with light signs of wear and age.